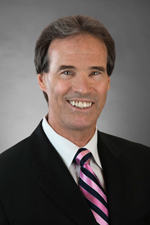 Daniel Purdom has extensive trial and investigative experience concerning white-collar federal crimes, such as health care fraud, complex financial fraud, tax fraud, insurance fraud, SEC fraud, international antitrust, official and police corruption, RICO, organized crime, bank embezzlement and bank fraud. He has tried dozens of criminal and commercial cases in numerous states. Mr. Purdom has briefed and argued more than 25 cases to federal and state appellate courts. In addition to his white-collar criminal practice, Mr. Purdom has extensive trial experience involving health care fraud and abuse, Illinois Attorney Registration and Disciplinary Committee (ARDC) defense, false claim/qui tam actions, commercial litigation, employment and class action lawsuits. Mr. Purdom has represented numerous medical providers who have been involved in federal, state and regulatory investigations of alleged health care fraud and related problems. He also handles internal investigations of employee wrongdoing involving embezzlement or internal fraud, and has helped various clients implement and monitor corporate compliance programs. Mr. Purdom has also been involved in a number of false claim/qui tam actions nationally representing health care providers, defense contractors and others. In 1986, as an Assistant U.S. Attorney in the Northern District of Illinois, Mr. Purdom prosecuted what was then the largest health care fraud in the United States. He secured the dismantling of a $20 million Medicaid fraud scheme, and the conviction of more than 40 individuals, including doctors, pharmacists and others associated with the scheme. Mr. Purdom coordinated the efforts of the U.S. Postal Inspectors, the Illinois Department of Public Aid, the Illinois Department of Registration and Education, the Illinois State Police and the Internal Revenue Service, and gained valuable working knowledge of the health care billing system. During his tenure with the U.S. Attorney’s Office he tried more than 35 jury trials and briefed and argued more than 15 appeals before the Seventh Circuit Court of Appeals. Mr. Purdom has been appointed a Special Inspector General by the State of Illinois Executive Ethics Commission to conduct several high profile investigations. He has also been appointed as a Special State's Attorney on a number of occasions to conduct internal investigations and to provide professional ethics opinions. Mr. Purdom joined Hinshaw & Culbertson LLP in July 1986. He is Partner-in-Charge of Hinshaw’s Lisle office and heads the firm’s National White Collar Criminal Practice Group. Mr. Purdom was formerly a member of Hinshaw’s Executive Committee. Previously, from 1980 to 1986, he served as an Assistant United States Attorney for the Northern District of Illinois (Chicago). Mr. Purdom graduated first in his law school class from Southern Illinois University School of Law in 1978. In addition, Mr. Purdom was the recipient of the Monroe Award for Excellence in Legal Writing and Research, and the West Award for Highest Academic Honors (1st, 2nd and 3rd years). He also received numerous awards for highest grades in individual classes. Mr. Purdom was a law clerk for Chief U.S. District Court Judge James L. Foreman of the Southern District of Illinois, 1978 to 1980. Steiner Sports Marketing, Inc. v. David Ortiz: Successfully resolved this contract dispute in the Supreme Court of the State of New York. Jaime Torres Sports Management, Inc. v. Noel Arguelles, Player, Jose Iglesias, Player, and SFX Baseball Group, Agent: Successfully defended SFX Baseball Group and two Cuban teenage defectors in Major League Baseball Players Association multiple week trial. The Name LLC, a Delaware Limited Liability Company, (Jay- Z) v. David Ortiz: Successfully resolved this case in the Southern District of New York. US v. Kien: A two-week jury trial ended when Mr. Purdom was able to secure the client an acquittal of mortgage fraud. The client, an attorney/co-owner of a real estate development company, was the only person acquitted of mortgage fraud as all 14 co-defendants either pled guilty or were found guilty. McGuire v. GTE: Mr. Purdom’s client was found not guilty in this Title VI and age discrimination lawsuit. Psharis v. Central DuPage Hospital: Mr. Purdom’s client was found not guilty in this medical malpractice death case. ServiceMaster v. Navistar: Mr. Purdom secured a $1 million verdict for his client in this commercial contract dispute. McKinney v. Coca Cola: Mr. Purdom’s client was found not guilty in this product liability trial. U.S. ex rel. Perales v. St. Margaret's. False Claims Act where relator was seeking $89 million. Case dismissed based on 10 summary judgment motions. U.S. ex rel. Fields v. Sherman Health Systems: False Claims Act case with relator seeking $17 million. Case dismissed on our motion. JBS v. Village of Glen Ellyn: Mr. Purdom secured a permanent injunction for his client in this commercial land dispute. Harmon v. Streams: Mr. Purdom’s client was found not guilty arising out of alleged structural building defect. In re: Conarty: Mr. Purdom secured a finding in favor of his client in this Illinois Attorney Registration and Disciplinary Commission (ARDC) trial. US v. Helfand: A two-week federal court jury trial for mortgage fraud. Mr. Purdom’s client was acquitted on 14 of the 15 charges. Mr. Purdom has spoken extensively on issues related to health care fraud, white-collar crime, attorney discipline, corporate compliance and internal corporate investigations. He was an instructor in the area of health care fraud at the FBI Academy in Quantico, Virginia, and has also been an instructor and lecturer for the National Institute of Trial Advocacy at Northwestern and Loyola Universities, the Department of Justice Advocacy Institute and the DuPage Bar Association Trial Advocacy Program. Mr. Purdom was the subject of a profile entitled “Q&A With Hinshaw’s Daniel Purdom,” that appeared on December 20, 2011 on the Law360 website. “Recent Amendments Significantly Enhance the Power and Reach of the False Claims Act,” Westlaw Journal Health Care Fraud, Volume 16, Issue 10, April 2011; Thomson Reuters News & Insight, March 2011; and Bar Briefs, February 2011. “Dealing With an ARDC Letter of Complaint: What Do I Do Now?” The Journal of the DuPage County Bar Association, Volume 18, April 2006. "Practical Considerations in Responding to Subpoenas and Search Warrants," The Corporate Lawyer, a publication of the Illinois State Bar Association, July 2003. “Conducting Internal Corporate Criminal Investigations,” DuPage County Bar Association Brief Online, Volume 9, May 1997. “Criminal Law—The Basics of White Collar Criminal Defense,” The Journal of the DuPage County Bar Association, December 1991. "U.S. Department of Justice Manual on Prosecution of Healthcare Fraud," contributing author. “The Illinois Forfeiture Statute: A Critical Analysis,” Southern Illinois Law Journal, 1977.